A new installation called Beyond Time, by Japanese artist Chiharu Shiota, is now on display at the Yorkshire Sculpture Park. The Japanese performance and installation artist, Chiharu Shiota, has a new installation on display at the Yorkshire Sculpture Park. Called Beyond Time, the piece will be housed in the sculpture park's 18th Century chapel, and was inspired by the history of the space it inhabits. “Most of my work is about the memory in absent things,” Shiota explains. “A room with a memory.” Her new piece uses 2000 balls of wool, with the interwoven threads filling the space. The installation has been designed to make viewers think of the life that once filled the chapel, giving a glimpse into the building’s past. In one area, an outline of a piano leaves a hint to the music that was once played there; web archways give an allusion to the architecture of the chapel before its redevelopment. To create the installation, Shiota used approximately ten balls of yarn per frame, building up the 3D images section by section before putting the sculpture together. She describes the process as "painting in mid-air". Shiota’s work often focuses on the themes of displacement, loss, and memory and has been recognised with the Philip Morris Art Award. 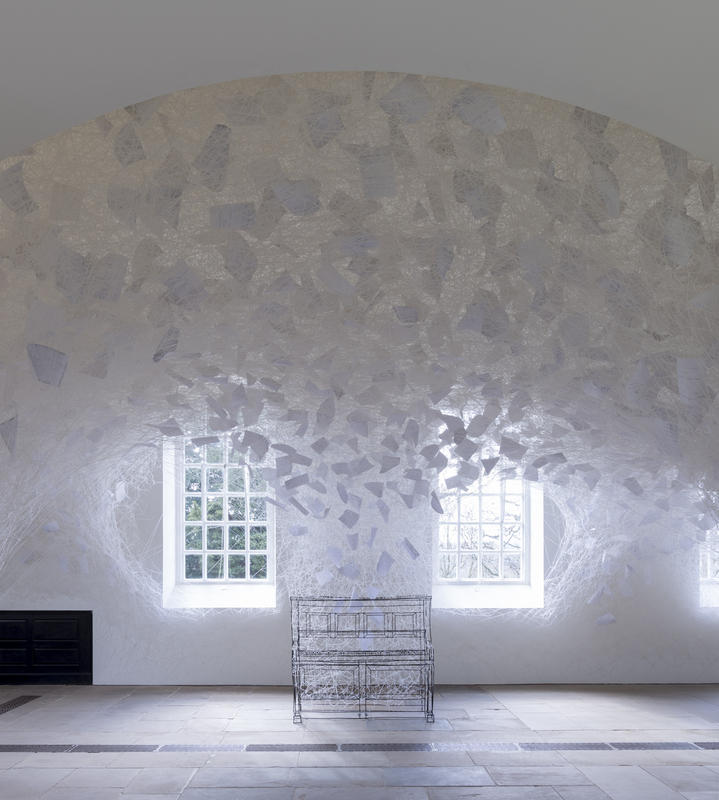 Previously, her work has included large scale sculptures such as The Key in Hand, where 50,000 keys were suspended in a web of red yarn that hung from the ceiling of Venice Biennale; and Lost Words, which filled St. Nikolai Kirche – Berlin’s oldest church – with a maze of wool and torn out pages from the bible. The Yorkshire Sculpture Park is situated in the 500-acre, 18th Century Bretton Hall estate in West Yorkshire. It celebrated its 40th anniversary in 2017 and is home to work created by some of the world’s most significant sculptors, including Henry Moore, Andy Goldsworthy, David Nash and James Turrell. The Yorkshire Sculpture Park has hosted temporary exhibitions by Ai Weiwei, KAWS and Fiona Banner. 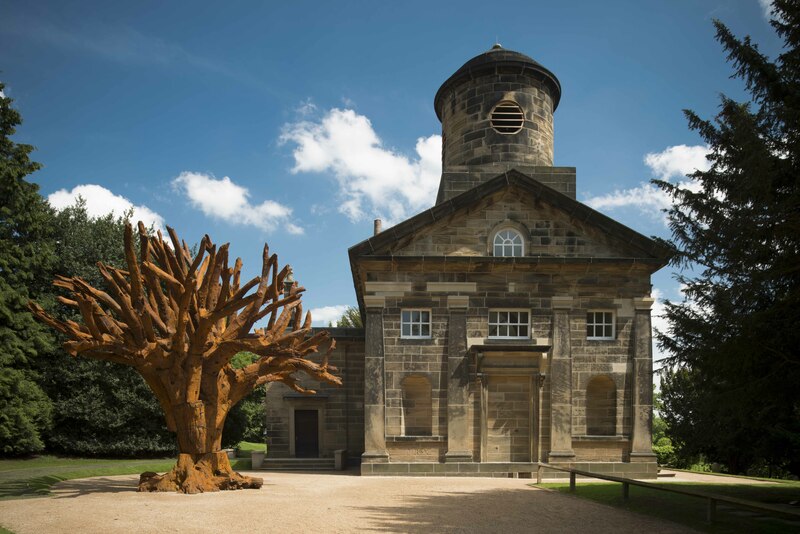 Beyond Time will be on display in the Yorkshire Sculpture Park chapel from 30 March – 2 September 2018.